Huge bay, table flat water, great wind, hundreds of blasting runs, countless Warrior fast tacks, gybes and duck gybes. Plus... 'Blue Zone' food, Mythos beer, Lindos roof top dining, hidden tavernas and a really great bunch of people - It has to be Windwise in Prasonisi. We've recently returned from a fabulous Freeride session at the Prasonisi Center on the southern tip of Rhodes. We had a wonderful Windwise crew giving it everything for the week. Blasting across the beautiful bay, leaning to make and master gybing, trying some duck gybes and working through those fast tacks. 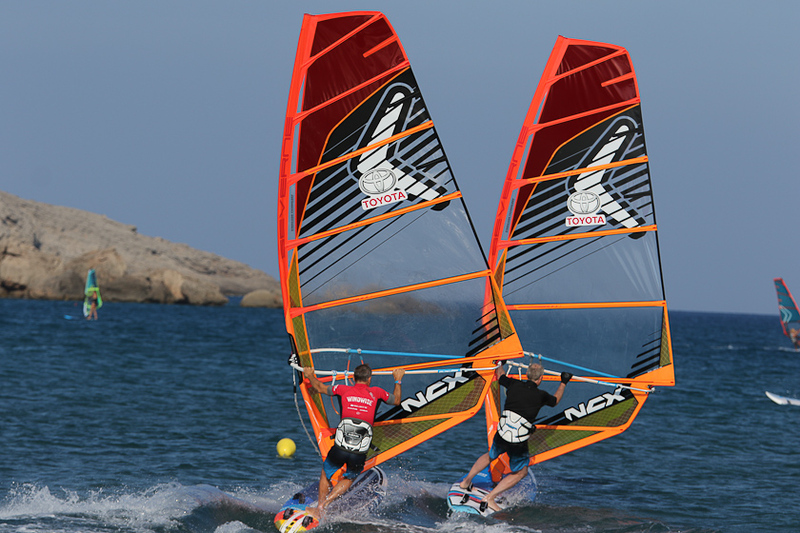 As ever, plenty of 'Warrior' skills training sessions on the water and all the apres windsurf you could ever want. Thanks to everyone who joined us and for Kris and his amazing crew at the Prasonisi Center for being such amazing hosts. Thank you everyone for a truly great week!